As MetroPCS shareholders voted in favor of a merger with T-Mobile yesterday, the company announced its first quarter 2013 financials. The good news is that MetroPCS is making money with a new income of $19.4 million for the first quarter, down from $21 million a year ago. Metro announced that they expect the T-Mobile deal to close on April 30th. Metro recorded their lowest quarterly churn on record at 2.9%, the lowest in company history. The company also announced they now have 3.5 million LTE subscribers which equates to 39% of their entire customer base. The LTE subscriber increase recorded a bump in 1.2 million users over the end of the last quarter of 2012. “Today, by an overwhelming majority, our stockholders approved our combination with T-Mobile USA. This combination offers both immediate and long-term compelling economic value to MetroPCS’ stockholders and we look forward to completing this combination on April 30, 2013. As a combined company, we will create the value leader in the U.S. wireless marketplace,” Chairman and CEO Roger D. Linquist concluded. MetroPCS Communications, Inc. (NYSE: PCS), the nation’s leading provider of no annual contract, unlimited, flat-rate wireless communications service, today announced financial and operational results for the quarter ended March 31, 2013. 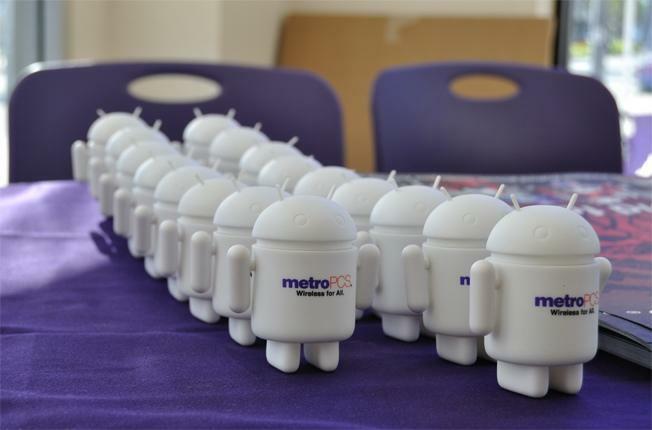 MetroPCS reported quarterly Adjusted EBITDA of $291 million for the first quarter 2013 and ended the quarter with approximately 9.0 million subscribers. Roger D. Linquist, Chairman and Chief Executive Officer of MetroPCS, said, “We are pleased with first quarter momentum highlighted by the lowest quarterly churn in company history, and continued growth in our 4G LTE subscribers. At the end of the first quarter, we had over 3.5 million 4G LTE subscribers, representing approximately 39% of our total subscriber base, which was an increase of 1.2 million over December 31, 2012. Financially, Adjusted EBITDA grew 11% year over year to $291 million. Our 4G LTE network offers a superior customer experience and is meeting our customers’ current demands for high-speed wireless broadband service. Throughout 2013, we plan to continue efforts to fully leverage the capabilities afforded by our high-speed 4G LTE network. so…. did they announce the total number of customers they have now?? nevermind, i see it now… 9 million is not bad. So Metro will start selling GSM phones starting April 30th? Hopefully they can start selling them as soon as possible to get the current Metro customers off the CDMA network quickly. From what I heard, the companies are combining but the MetroPCS brand may still be used as TMo’s prepaid branch. I wonder if T-mobile will let go of their prepaid branding altogether. Highly doubt it tho. Metro will be able to access T-Mo’s network soon, they just prob have to wait for some GSM version of their phones to roll in. After that while TMO is working on the towers, Metro will be to TMO what Boost is to Sprint til 2015. Didn’t Metro have like 10 million customers at the start of this deal? They really had no room to try and block the deal. Great news Metro! now lets wait until May 1st and see what strategy T-Mobile is going to take in gaining more customers and expanding LTE and 3G coverage. So if T-Mobile expands Metro to all the Markets where T-Mobile currently has coverage, it would kinda be like two separate nationwide carriers but working as one! HOT!! !